Once your account is open, you’ll receive an email sending you to the login page. Login with your username and the password you created when you applied. When the platform opens you’ll see the funding window, so you can deposit funds and be able to trade. The minimum initial deposit is $250. For all deposits and withdrawals, you’ll need a personal checking account. We cannot accept savings accounts. 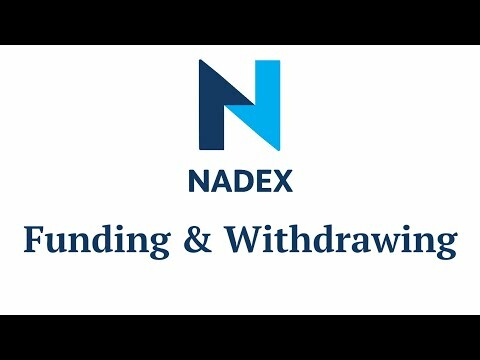 If you have a Nadex business account, contact Nadex for details on funding. The default window shows debit card funding, because it’s the most popular and fastest way to make a deposit. Your funds are available right away and there is no transaction fee. The name on your card must match the name on your Nadex account. It must be your card. We cannot accept a friend or family member’s card. We also can’t accept prepaid cards, commercial/business cards, or credit cards. The first time you use a debit card, we need to do a simple one-time verification to confirm that the card matches your checking account. After that, you’ll be able to withdraw funds you deposited using that card. To verify your card, under My Account, go to Upload Document. You’ll need a bank statement showing your full name and address, your bank’s name or logo, your full account number, and a debit transaction sent to Nadex. This transaction will probably be your deposit. Scan the bank statement or take a photo on your phone and upload the image to the Nadex platform. If you use paperless banking, upload a screenshot from your computer or device. You can also deposit and withdraw funds via bank transfer. US residents can use ACH or automated clearing house transfers. Nadex does not charge a fee for ACH deposits or withdrawals. They usually take 3-5 days to process versus instant funding with a debit card. Both US and non-US residents can use wire transfers, also called international bank transfers. You can initiate a wire transfer from your personal checking account by going to your bank’s website or local branch office. Wire transfers can only come from your checking account, not savings, commercial, retirement, or other accounts. Nadex doesn’t charge a wire transfer fee for deposits, but your bank may.